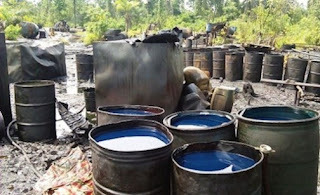 The Nigeria Navy recorded a breakthrough in its undercover operations when it uncovered a major illegal oil bunkering site at an abandoned warehouse in Ogbogoro area of Obio/Akpor local government area of Rivers State a suburb of Port Harcourt, the Rivers State Capital. 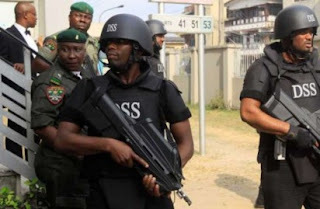 The Commandant of the Nigeria Navy Ship NNS Pathfinder in Port Harcourt, the Rivers State Capital, Commodore Sanusi Ibrahim who led journalists to the illegal site on Thursday said five persons including an engine repairer were arrested at the scene. Commodore Sanusi Ibrahim represented by the Base Operation Officer, Lieutenant Commodore Sunday Katuka Haruna said over five hundred drums loaded with illegally refined petroleum products were seen at the site. 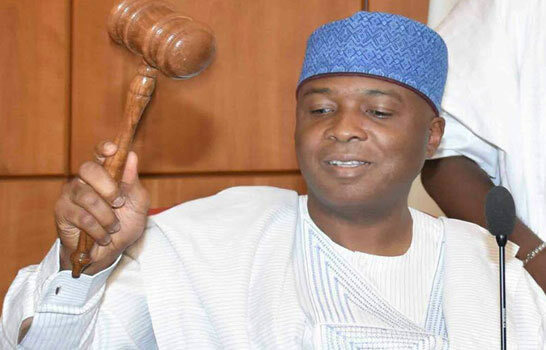 Justice Abdulkadir Abdu-Kafarati of Federal High Court has dismissed the fundamental rights suit filed by Senate President Bukola Saraki to stop his trial at the Code of Conduct Tribunal. Abdu-Kafarati who gave a judgement today dismissed the suit as an abuse of court process. The judge was scheduled to deliver judgment at noon. But he arrived 30 minutes earlier. Lawyers from both parties announced their presence. 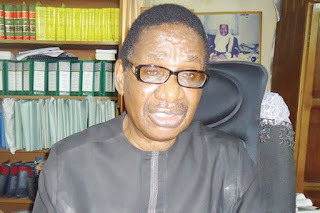 The Chairman of the Presidential Advisory Committee against Corruption, Prof. Itse Sagay (SAN), and human rights lawyer, Mr. Femi Falana (SAN), have condemned the move by the Senate to amend the law setting up the Code of Conduct Bureau and the Code of Conduct Tribunal, with a view to whittling down the agencies’ powers. 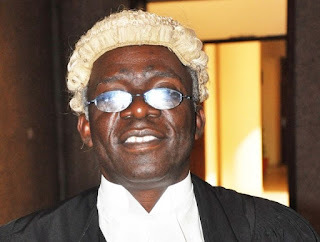 The Senior Advocates of Nigeria said the commencement of the amendment of the Act, establishing the CCB and CCT by the Senate, had exposed the intention of the country’s legislators to encourage corrupt practices and shield corrupt leaders from prosecution. 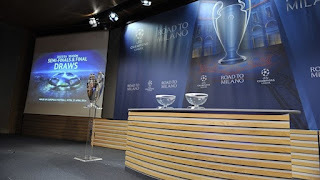 Pep Guardiola avoided his future employers as Manchester City were on Friday drawn to play Real Madrid in the semi-finals of the Champions League while Atlético Madrid will face the Spaniard’s Bayern Munich. Semi-final debutants Manchester City would be looking to edge out 27-time semi-finalists and ten-time winners Real Madrid. 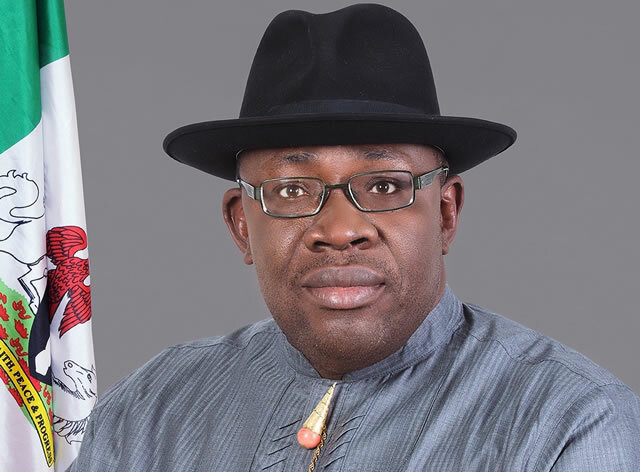 Angry employees in the Bayelsa State local government areas have rejected a proposal to pay them one-month salary out of the over 10-month salary arrears owed by the councils. 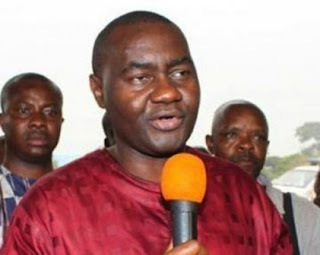 They also threatened to shut down the eight LGAs in the state if legitimate workers, particularly those who were employed before the first tenure of Governor Seriake Dickson were sacked. 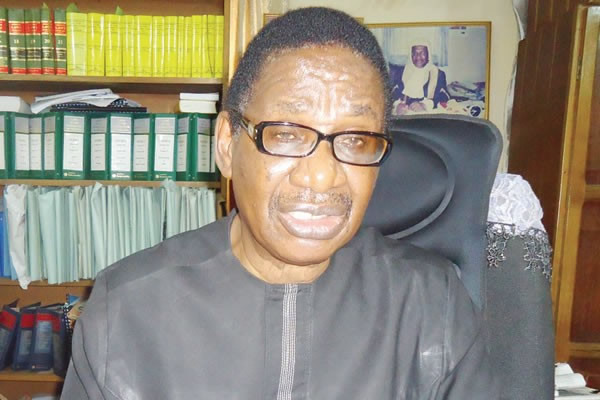 A former Secretary of the Peoples Democratic Party in Ekiti State, Dr. Tope Aluko, has said that the plot to rig the June 21, 2014 governorship election was perfected inside a hotel seven days before the poll. 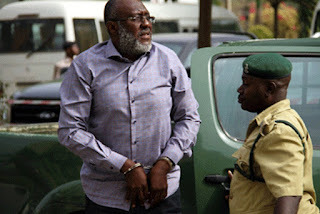 Aluko alleged that the hotel belonged to a top state government official (name withheld), adding that sensitive materials such as ballot papers and result sheets were delivered to PDP chieftains by the Independent National Electoral Commission at the hotel. 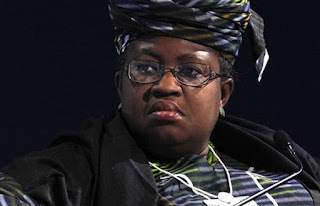 The immediate past Minister of Finance, Dr. Ngozi Okonjo-Iweala, on Thursday said lack of political will to save oil revenue under former President Goodluck Jonathan was responsible for the challenges facing the country presently. 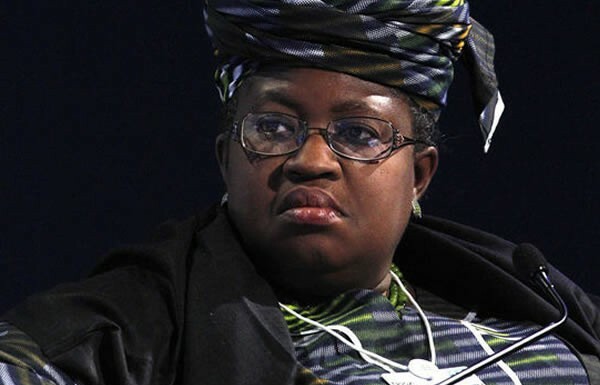 She said as a result, the World Bank and the International Monetary Fund must seek means to embed savings in national constitutions devoid of political manipulations. 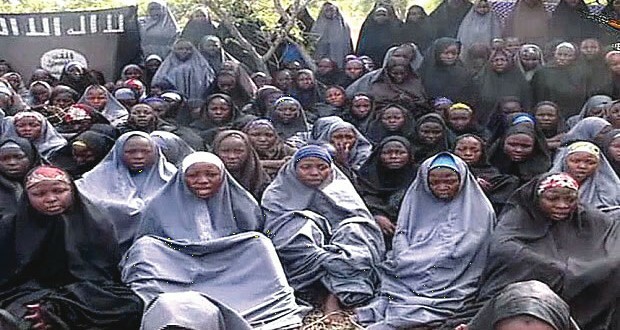 The Senate on Thursday summoned the National Security Adviser and all the service chiefs to brief it at a closed session on their efforts so far to recover the abducted Chibok schoolgirls. 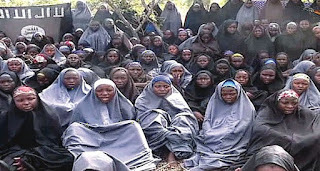 Also, the House of Representatives on Thursday asked the Federal Government to set a target for security agencies to rescue the 219 Chibok schoolgirls held in captivity by Boko Haram insurgents. 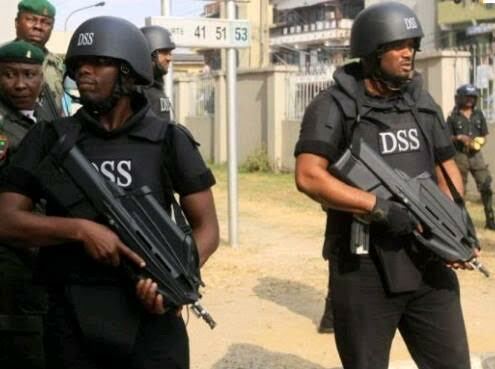 Seven months of pains, tears and sorrows, as the Federal Government and DSS are still mute on the where about of seven Department of State Security (DSS) officers that went missing 7 months ago at the Ikorodu area of Lagos. 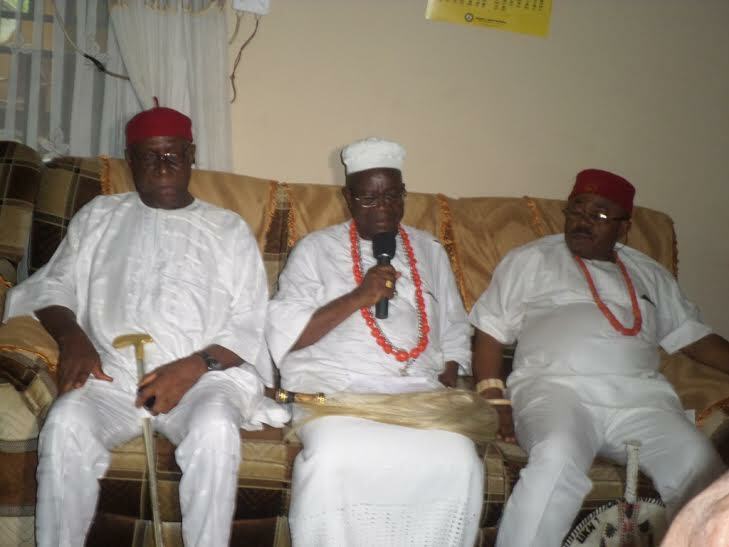 The Deputy Governor of Anambra State, Dr. Nkem Okeke has lost his father, Chief Sir Engr Richard Nwachukwu Okeke at age of 88 (December 10, 1927—Sunday, 10, 2016). 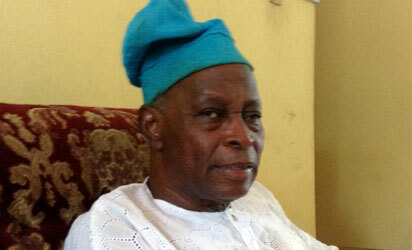 Chief Okeke, who died 18 days to his 65 years marriage anniversary (having married on April 28 1951), was until his death, the President General, Immanuel Anglican Church, Enugwu-Ukwu (1987 to 2005); retired as a Director (Distribution West—1976 to 1977) National Electric Power Authority (NEPA); founder and Chairman, RENACS Nigeria LTD, a renowned electrical construction company; excluding other numerous political, professional and religious offices held. That was the message conveyed by a video released by the terrorist group in December last year and sent to the Borno State government. In it, the girls – all dressed in full length, black robes – stated their names, their school and where they are from. They show no visible signs of injury or maltreatment and do not look starved. 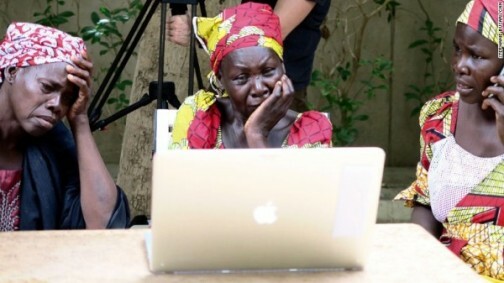 The video was screened on Tuesday in Maiduguri to the mothers of several of the missing girls. It has also been screened on CNN. 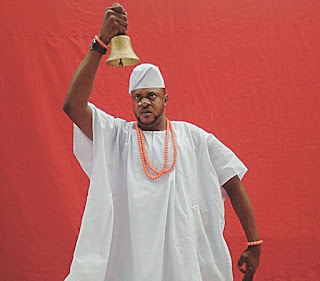 Popular actor, Odunlade Adekola, is currently in a foul mood and he has threatened to deal with anybody who tries to truncate his family life by making claims that are not true with his name. During the week, two actresses, Kemi Afolabi and Seyi Ariyo also known as She Baby, had engaged in a ‘roforofo fight’ over a piece of clothe. Of course, Adekola would have just been an onlooker but both ladies were said to have claimed ‘to be seeing him’ intimately. 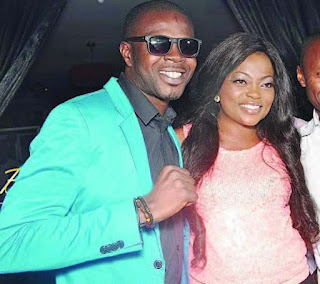 Ever since her first marriage to Kehinde Oloyede broke up in 2013, not much has been heard about the love life of one of Nigeria’s sweethearts, Funke Akindele. In a recent chat with Saturday Beats, the actress said that she intentionally shielded her private life from the public because of what she faced during her first failed marriage. 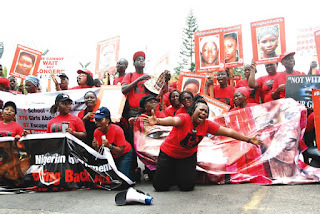 Early in the week, reports surfaced online that the Federal High Court sitting in Lagos struck out the Actors Guild of Nigeria’s Board of Trustees and Ibinabo Fiberesima’s suit challenging the nullification of her election as President of the body and also challenging the legitimacy of the presidency of Emeka Ike and his executives. The implication of this judgment is that the Emeka Ike-led executive remains the only authentic and lawful leadership of AGN. You played the character of a very saucy woman in the soap opera, Behind the smile, and you did it so well. Are you actually saucy in reality? I am not a saucy person and I really don’t agree that the character is a saucy woman; I think she is just under a lot of pressure. I think as actors, we make people believe what we want them to believe. Naturally, people would always have an opinion about you regardless of what you do but I am nothing like that character. 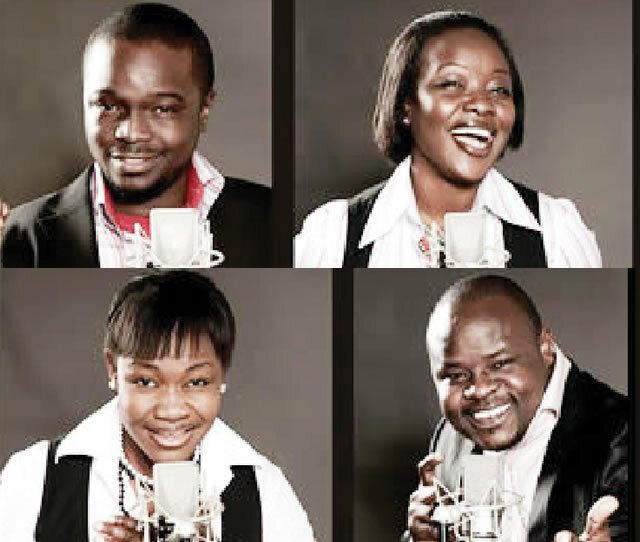 This year marks the 15th year that ace gospel group, Midnight Crew, was formed. In a celebratory mood, the group takes a trip down memory lane and remembers how they almost broke up about four years after it was formed unknown to them that God had a lot in stock for them. 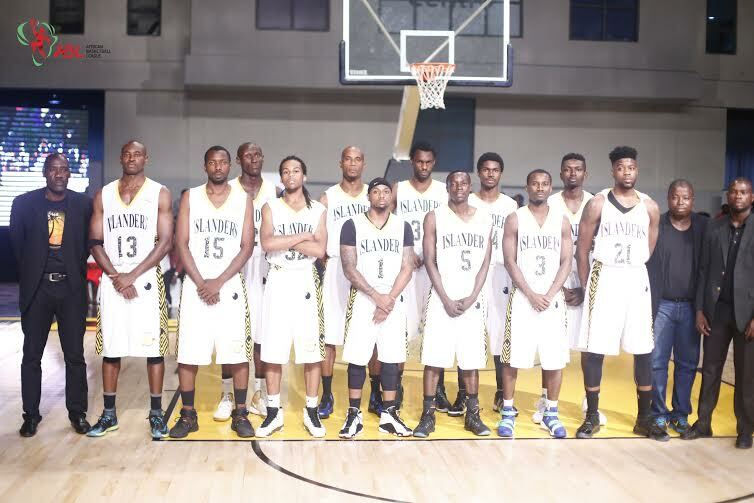 The spokesperson for the group, Mike Abdul, shared the story of how the group was almost disbanded. 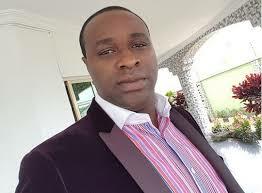 Femi Adebayo needs little or no introduction in the Nigerian movie scene. 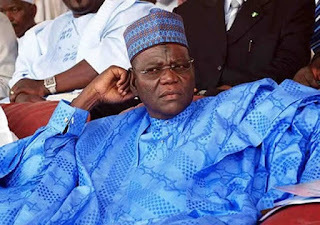 Asides from being the son of legendary actor, Adebayo Salami alias Oga Bello, the actor is sometimes referred to as a poster boy for Yoruba movies. Recently, he got an appointment as the Special Adviser to the Governor of Kwara State, AbdulFatah Ahmed, on tourism and culture. 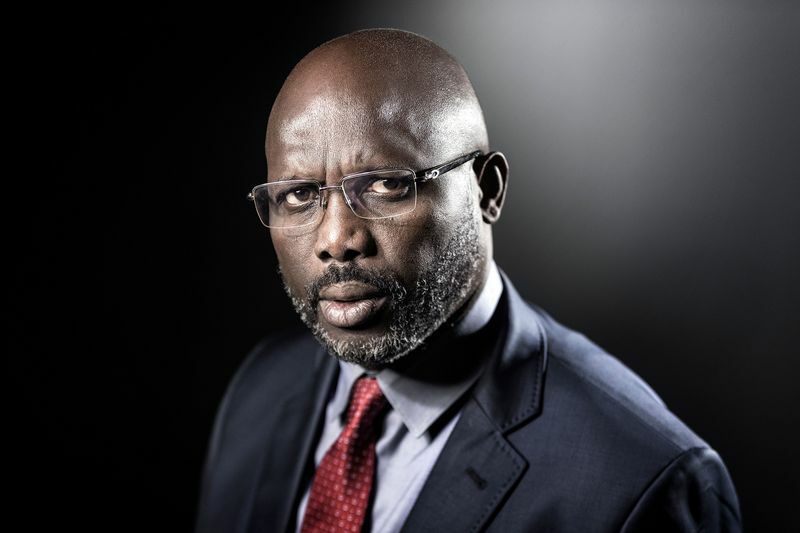 Even though the actor is ecstatic about his appointment, he believes his new position is currently a huge distraction to his career. 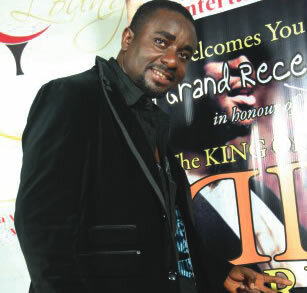 With less than one month to the launching of Femi Solar’s album, which he called Mercy Beyond, the Jasa gospel crooner is leaving no stone unturned. 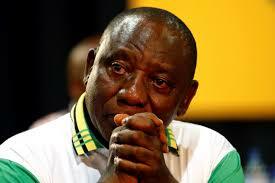 The singer has been in and out of the studio these past weeks to put finishing touches to his much-anticipated album. 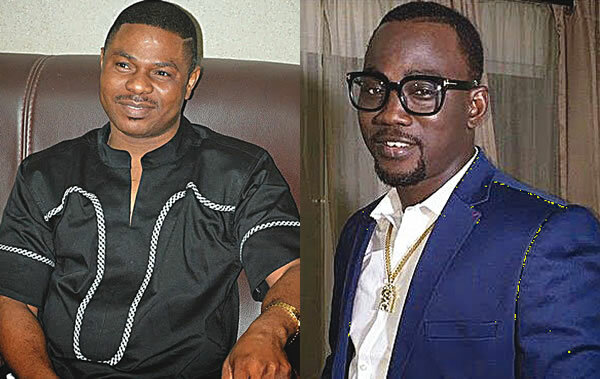 The album, according to Solar, will be launched early next month and leading gospel singer and CEO of Fresh FM radio, Yinka Ayefele, is expected to lead other prominent Nigerians to the event. 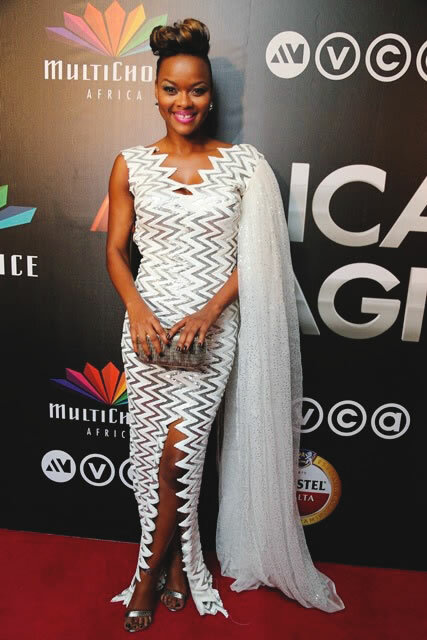 Popular OAP and Vlogger, Toke Makinwa, caused a little internet frenzy during the week when a commentator on her Instagram page accused her of not only having a child but also refusing to let the public know shortly after she posted a picture of herself on the social media platform. 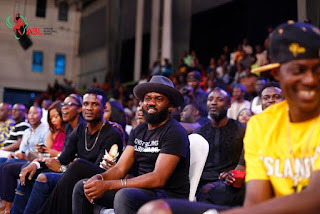 While some urged her to show the world her ‘child’, others simply asked the commentator to mind her business but Makinwa simply just deleted the post from her account. 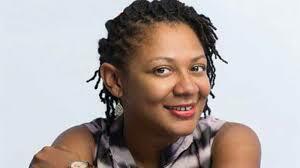 Isabella Akinseye is the founder of Yellow Tamarind Production, a television production outfit. Prior to establishing her company, the young lady had a job a lot of people are yearning for. She was under the employment of Nestle, but she quit the job to follow her passion. 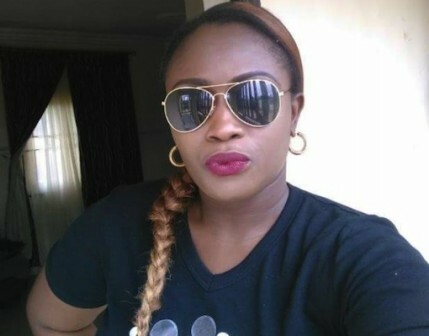 In a chat with Saturday Beats, she explained why she quit a well-paying job to establish a television production outfit. Some workers in public and civil service in Bayelsa State have turned to begging to survive the hard economic realities in the state. It was observed that some workers, in a bid to cope with the harsh economic condition foisted on them by unpaid salaries, had devised different means to beg in order to fulfil their financial obligations. Arsenal forward Alex Iwobi has confirmed again the English FA tried to make him play for England but turned it down for Nigeria – a decision he is very proud of. The young forward also told the Arsenal website that moments with Nigerians fans are moments to cherish. The attitude of the fans, he says, has added up to his joy linking up with the Super Eagles. Three mothers of schoolgirls abducted from Chibok, Borno State on April 14, 2014 said they had identified their daughters in a video released by Islamist group Boko Haram, the first possible sighting of the girls since a video in May 2014. 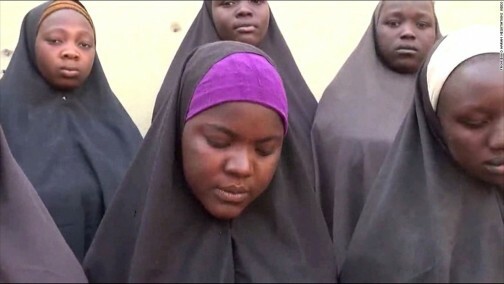 Reuters reported that about 15 girls featured in the video released to local officials on Tuesday, saying they were from the Government Girls Secondary School in Chibok and pleading with the Nigerian government to cooperate with Boko Haram on their release. Members of the Campaign for the Defence of Human Rights who staged a public protest against corruption in Osogbo, the Osun State capital on Wednesday, stopped the convoy of Governor Rauf Aregbesola on his way to the office. 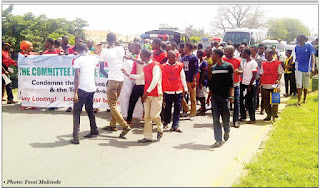 Our correspondent observed that members of the CDHR, who were marching against corruption in the public sector, had blocked one of the lanes of the Gbongan-Ibadan Expressway while they were being watched by security officials. 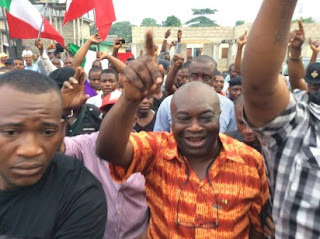 Senator Magnus Ngei Abe, All Progressives Congress (APC) candidate in the Rivers South East Senatorial District re-run election, has blamed the law enforcement system in Nigeria for condoning the impunity that happened before, during and after the 19 March rerun polls in Rivers state. Speaking during a live television programme monitored in Port Harcourt, Abe said that if our law enforcement agencies were decisive and proactive, they would have stemmed the ugly incidents that occurred in the state. Finally LAGOS! I am coming home!” That was the screaming Twitter message posted by Nigerian international soul singer Bukola Elemide popularly known as Asa, days ago, to announce her first-ever concert in Lagos, Nigeria. Set to hold on Sunday 1 May at the Eko Convention Centre of Eko Hotels & Suites, Victoria Island, Lagos, Asa’s May Day debut concert has already been tagged ‘Asa Live In Lagos’ #BOSTOUR. 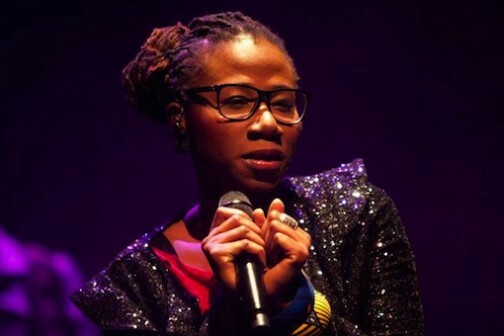 Asa will thrill her fans and connoisseurs of good music to an enthralling performance and songs from her three internationally released studio albums including the latest ‘Bed of Stone’. 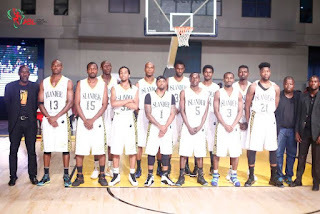 It is no longer news the African Basketball League is the biggest Sports entertainment event in Nigeria. 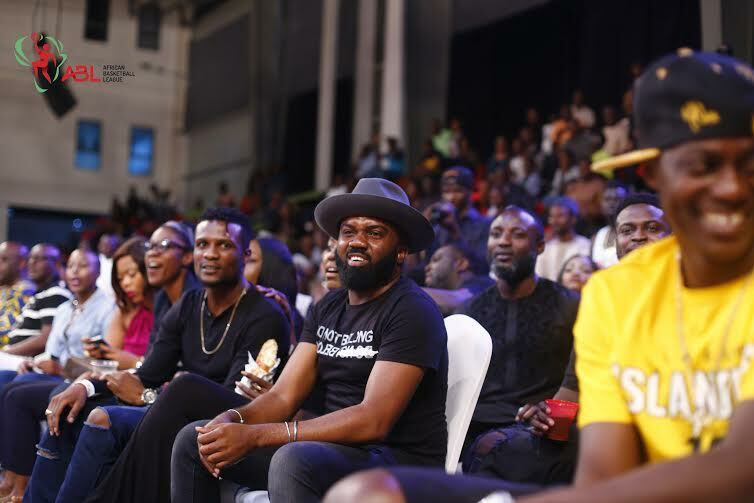 Last weekend, it was a roll call of celebrities at the ABL rematch games as the Stallions played against the Lagos Warriors while the Lagos Islanders took on the Ramblers to end the games for the night. John Okamsi is a long time friend who plies his trade in the Onitsha Main Market. He is not the run of the mill type of a trader even as he has spent over 20 years in the Lagos line of the Market and as such should be no less. He had longed for a corporate environment for business and believes that Onitsha, the emporium of West Africa, deserves better. 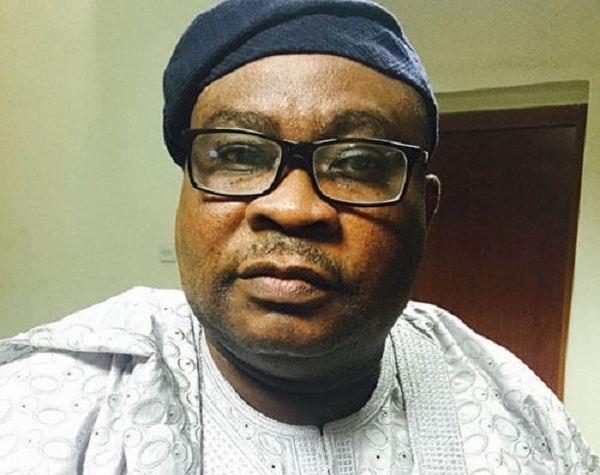 Accordingly he rented offices on New Market road as well as Awka road just to attune to the idea, but ideal business environment was far from being realized. 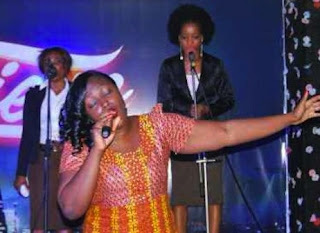 A female gospel singer,‎ Mrs. Yvonne Omoarebokhae, has allegedly died in a hotel in Benin, owned by a former lawmaker in the Edo State House of Assembly. The late female gospel singer who’s cause of death is still a mystery, was allegedly lodged into the hotel by a Lagos-based Pastor whose name was given as Apostle Psalm Okpe of the Fresh Oil Ministry. 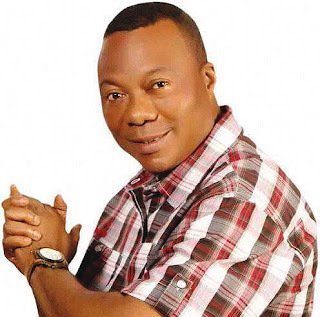 Husband of the deceased, Odion, who spoke to journalists in Benin, said his wife met Apostle Okpe on Facebook and after several months of chatting, the man of God invited his wife to perform at his programme to be held in Benin, Warri and Asaba. The Senate, after a rowdy closed session on Tuesday, said it would not revisit the 2016 budget it had passed, asking President Muhammadu Buhari to sign the document as transmitted to him. 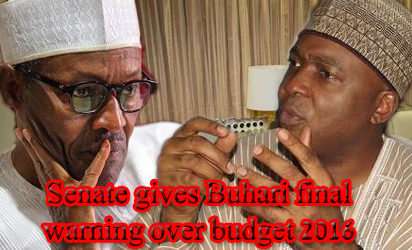 The Senate spokesperson, Senator Sabi Abdullahi, who stated this while addressing journalists on what transpired at the closed session, said Buhari was free to send a supplementary budget to the National Assembly after signing the document. 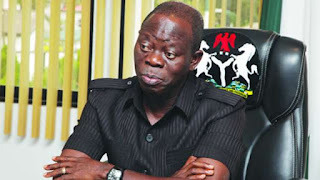 The Edo State Governor, Adams Oshiomhole, has warned Fulani herdsmen and local farmers in the state to maintain the peace or face the wrath of the law. The governor said the state would neither ban grazing nor farming. 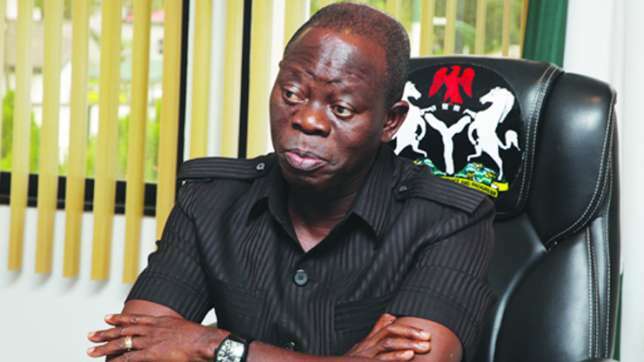 This was contained in a statement by the Chief Press Secretary to the Edo State Governor, Peter Okhiria, on Monday. 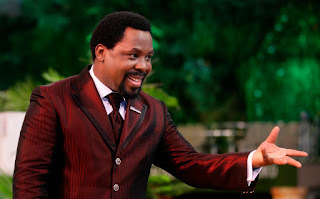 Information recently revealed that the Head Pastor of Synagogue Church of All Nation Prophet TB Joshua & Wife is unconnected with the Panama Papers Leak Oil exploration.refining company, called Chillon Consultancy Limited In Tortola British Virgin Island. A Panamanian law firm Saturday revealed that controversial SCOAN Head Pastor best kept secret and asset has remain the main stay of the nation economy. 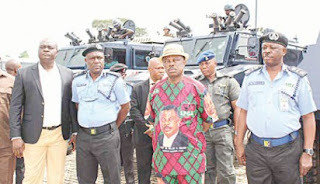 Following condemnations that trailed the alleged killing of two young men by their in-laws at Umueze-Anam in Anambra state during the burial ceremony of their sister, last January, an uncle to the husband of the deceased woman, Chief Young Ekwualor, has reacted alleging that their in-laws from Umuahia attacked members of their community during the burial. In an emotion-laden voice, the octogenarian spokesman of the husband’s family told Crime Guard that it was shocking that their in-laws from Umuahia in Abia state who perpetrated the atrocities during the sad event twisted the facts of the story when they were the real culprits. A former Minister of Petroleum Re¬sources, Prof Tam David-West, has denied newspaper reports, Daily Sun not included, that Buhari will crash the price of petrol to N40 per litre. The Professor of Virology who spoke to Daily Sun in a telephone interview at the weekend, said at no time did he ever made such com¬ment, regretting that he must have been misquoted. 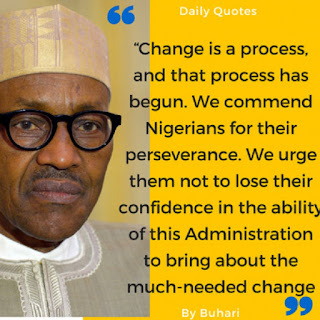 Rather, he said, he only canvassed that some 14 items currently listed in the petrol pricing template be re¬moved as that would help crash pet¬rol price to N40. A temple in the southern Indian state of Kerala was gutted by fire on Sunday, killing no fewer than 105 people. At least, 500 others were injured in the inferno, which broke out from a fireworks display, marking Hindu new year celebration. 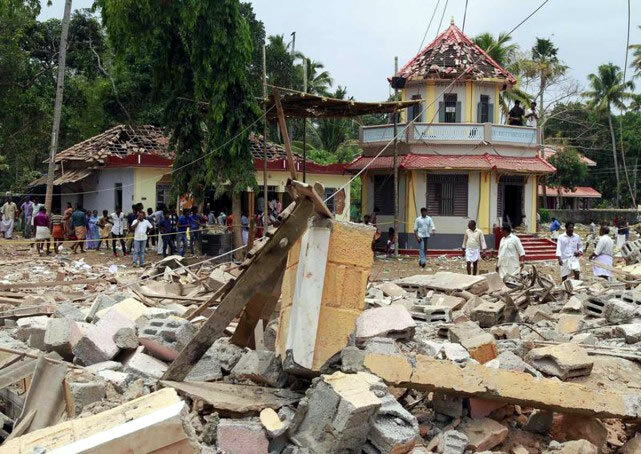 The explosion at the Puttingal temple killed at least 105 people and injured more than 500, CNN quoted Indian authorities as saying. It was learnt that the building was crowded with thousands of devotees celebrating the Hindu new year when the explosion happened at around 3.30am local time. The umbrella body of Ijaw youths, the Ijaw Youth Council Worldwide, has alleged that the Economic and Financial Crimes Commission is laying a foundation for the arrest of former President Goodluck Jonathan. The IYC, however, advised the anti-graft agency to shelve any plan to “persecute” the former President, insisting that such a move would spell doom for the Muhammadu Buhari administration. 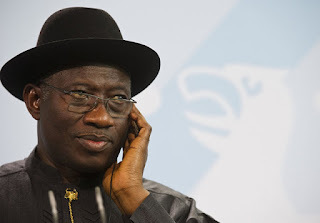 Speaking at a news conference on Saturday to mark the burial of a former Bayelsa State Governor, Chief Diepreye Alamieyeseigha, the IYC President, Mr. Udengs Eradiri, said most of the close allies of Jonathan had been arrested by the EFCC. A human rights lawyer, Mr. Femi Falana (SAN), has advised the Federal Government to shelve its plan to obtain $2bn loan from China. 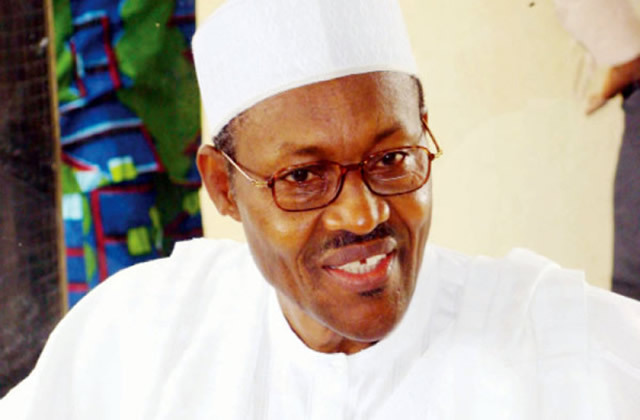 He said instead of “plunging the nation into more indebtedness” the Federal Government should intensify efforts to recover some funds totalling about $200bn which were either not remitted to the Federation Account or stolen from the nation’s treasury. There were indications on Sunday that the National Assembly’s peace moves with the executive over the 2016 budget crisis had flopped. 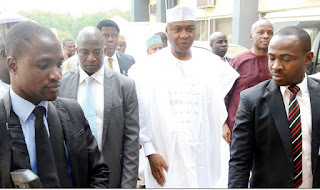 Ashiwaju.org learnt that as part of the peace moves, the National Assembly had, on Saturday, reached out to the executive and asked President Muhammadu Buhari to sign the document and then send a supplementary budget to the lawmakers. 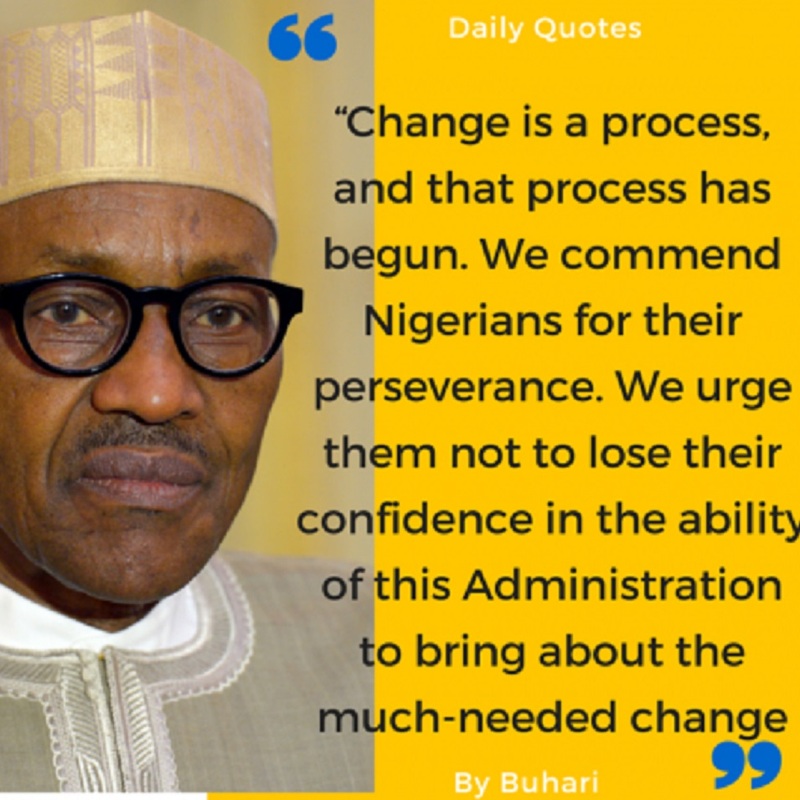 It was gathered that the President did not accept the suggestion against the backdrop that the distortions in the budget discovered in the document transmitted by the National Assembly were too many.